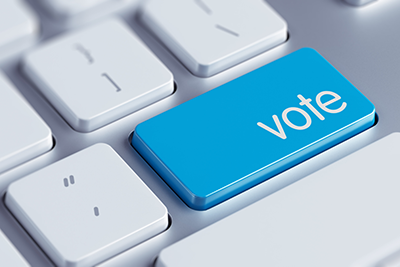 The 2019 Cooperative Issues Forum takes place during Co-op Week, the U.S. co-op community’s annual emphasis week in May celebrating the business model and honoring its leaders and champions. Registration is now open for the 2019 Cooperative Issues Forum, a gathering of co-op influencers and supporters that falls during Co-op Week, the U.S. co-op community’s annual emphasis week in May celebrating the business model and honoring its leaders and champions. 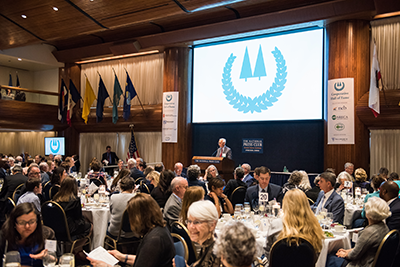 Hosted by the Cooperative Development Foundation and held at the National Press Club on May 8, 2019 from 1:30-5 p.m., this year’s Cooperative Issues Forum features a discussion on cooperative impact followed by the Cooperative Hall of Fame Inductees Panel. Register now for this free event! Understanding and evaluating cooperative impact can provide vital information to cooperative members, policymakers, researchers and funders interested in achieving a more stable and sustainable model of work and business. 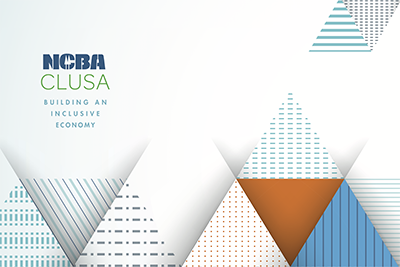 During “The ABCs of Cooperative Impact,” you’ll learn about the seven factors for evaluating cooperative impact and hear examples of cooperatives improving the lives of members and communities in the agricultural, housing, utility and finance sectors. Keynote presentations from Brett Theodos, senior research associate with the Urban Institute, and Margaret Lund, principal of Co-opera Co. will set the stage. Then stay for a panel moderated by Theodos and Lund and featuring Jerry McGeorge, vice president of Cooperative Affairs at Organic Valley; Mike Keyser, CEO of BARC Electric Cooperative; Paul Bradley, president of ROC USA; and Carla Decker (invited), president and CEO of DC Credit Union. The afternoon rounds out with the Cooperative Hall of Fame Panel and Q&A, moderated by NCBA CLUSA president and CEO Doug O’Brien and featuring the 2019 inductees to the Cooperative Hall of Fame. They include Terry Appleby, retired general manager of Hanover Consumer Cooperative Society; Richard Ensweiler, retired president and CEO of Cornerstone Credit Union League; Anne Reynolds, retired executive director of the University of Wisconsin Center for Cooperatives; and Richard Stammer, former president and CEO of Agri-Mark and Cabot Creamery Cooperative. These cooperative leaders will be recognized at the Cooperative Hall of Fame reception, dinner and induction ceremony immediately following the Issues Forum. Click here to read about their achievements in cooperative leadership and development. Purchase a ticket to Cooperative Hall of Fame here.